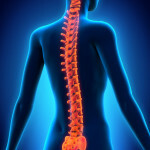 If you have back pain you know how debilitating it can be. Back pain is extremely common with 80% of people experiencing back pain at some point in their lives. In fact, back pain is now the single leading cause of disability worldwide. So if you have back pain, what can you do about it? Well, here is 5 simple steps to help you conquer that nagging back injury. Nutrition can play a major role in chronic conditions like lower back pain. Minimizing your intake of processed foods containing trans fats, sugar, gluten, etc. can make a big difference in the amount of inflammation your body is producing. Dietary changes don’t have to happen overnight. The important thing is to start. Pick one thing on the list and commit to doing that one for now. Cutting out processed foods is a good place to start. Make sure you’re getting plenty of vitamin D. Vitamin D deficiency has been linked to chronic lower back pain, so make sure that your getting your 20 minutes of sun on your face and arms every day and also it may be necessary for you to take a vitamin D supplement. In my experience, regularly sleeping on your stomach can create severe damage in your neck and back. If you are a stomach sleeper make sure you make the change to your side or back as quickly as possible. If you are a stomach sleeper, tonight, make the decision to begin to sleep on your side. It is very difficult to move from your stomach (the worst) to sleeping on your back (the best). Remember, if your back hurts in this side sleeping position, you can place a pillow between your knees to alleviate pressure on the lower back. 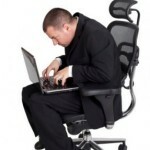 A sedentary lifestyle of sitting around all day has been linked to lower back pain. The best exercise is the one that you will do consistently. Whether it is swimming, fast walking, Pilates, yoga or another exercise program, the key is consistency. Exercise has been shown to improve lower back pain. When the spine is not properly aligned due to accidents and injuries, lower back pain can frequently develop. Scientific research tells us that Chiropractic adjustments are effective for helping people with lower back problems. Chiropractic care has also been shown to be more cost-effective than the medical approach of drugs or surgery. In addition, chiropractic patients report a greater level of satisfaction with chiropractic care, compared to the medical approach. When choosing a chiropractic approach it is important to consider the goal of the approach. An upper cervical chiropractic approach is focused on long-term stability of the spine. The goal is not being adjusted, but staying in alignment. It is not about being adjusted, thousands of times. It’s about getting the spine back into a normal balanced position and keeping it that way as long as possible. Achieving postural balance and maintaining that position for long periods of time leads to improved posture, strength and spinal stability. Along with chiropractic care some healthcare facilities offer physical rehabilitation exercise programs to supplement their chiropractic adjustments. This type of physical rehabilitation is helpful in improving functional movement, such as sitting, standing, walking, lifting, etc. Frequently these types of programs will focus on improving muscular strength, flexibility, balance, range of motion and overall mobility. Now is the time for you to take a massive amount of action! Without you taking control of your health and the decisions you make when it comes to your body, you will likely continue to suffer with chronic conditions like lower back pain. 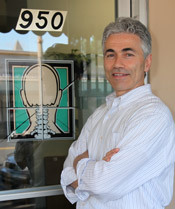 Find a chiropractor who combines both specific chiropractic adjustments and lifestyle changes.